Well, here is a fun treat for the kids. 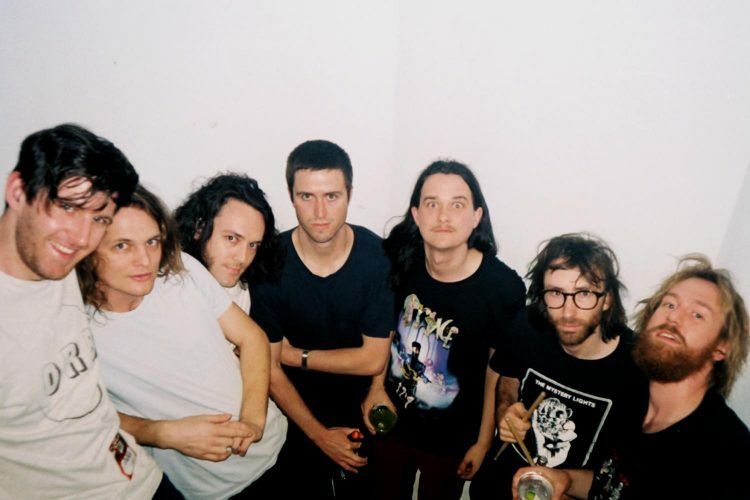 The continuing journey of the Australian upstarts King Gizzard & The Lizard Wizard keeps getting more exciting as the band gets closer to their goal of releasing 5 albums in 2017. 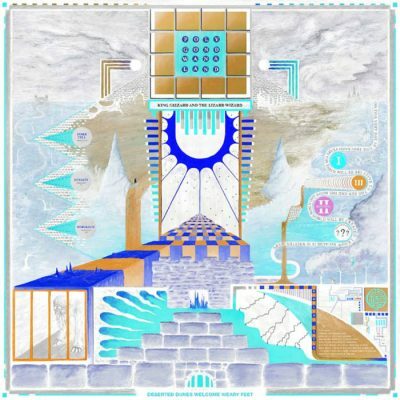 On Wednesday, the band announced their fourth long player POLYGONDWANALAND would be available for free this Friday (11/17/17). Recently, that type of announcement from the band has been met with a flurry of excitement over the physical launch as their home country label, Flightless, and here in the US, ATO Records, typically have some nice limited edition offerings. Not only did King Gizzard say that the new record was going to be free to anyone that wanted to download it but that it would be available to anyone that wanted to press it on vinyl. They would supply all the files and pretty much if you can press a record – you could release the new King Gizzard & The Lizard Wizard. The thought of this is really crazy and genius in the same sentence. The band is giving support to every label out there that is a fan, fans will get some nice and limited pressings, and your music and this novel idea create an ever bigger, already growing, fan base. This process has real potential to be a cluster but so far not so bad and fun to watch. Instantly after the announcement, a community Facebook page was created and fans were brainstorming on steroids. This page is currently still producing ideas and sharing pressings. Blood Music out of Porvoo, Finland was one of the first labels to put out some samples and launched 5 variants of vinyl for pre-order. Stolen Body Records out of the UK was quick to follow and had 4 variants totaling around a 1000 copies which have now all sold out. 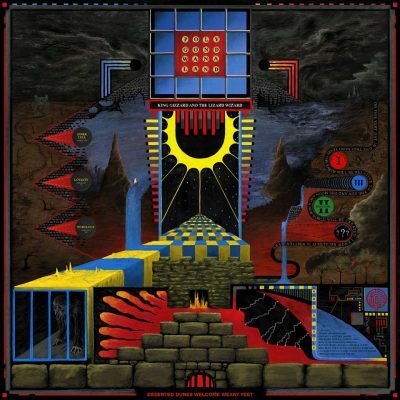 Turns out the demand is there and more labels have stepped up to offer their version of POLYGONDWANALAND. My two favorites so far have been from one of our favorite labels, Greenway Records out of New York has a nice looking splatter combo limited to the number of orders this week plus a Test Pressing cover that will be hand printed by Gizz poster legend Dan Curran and hand numbered, limited to the exact amount sold there which I believe may be around 12 copies?. We can’t wait to see these as his hand screened art is always fantastic. Also there is LA’s Nomad Eel Records (Glow In The Dark vinyl w/red, yellows, and blue splatter ltd 100 copies) which is collaborating with Detroit’s Jett Plastic Recordings (Gold Vinyl w/ Teal Splatter ltd 100 copies). These should be great quality as Wax Mage is pressing the copies. 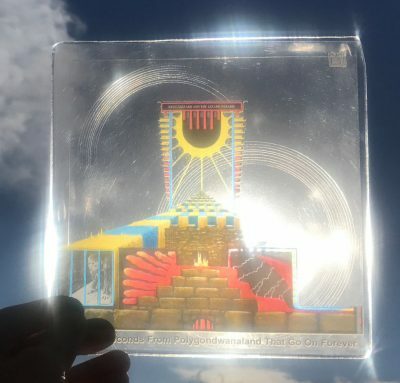 PIAPTK is doing a really cool 7″ experiment with the album called Thirty Six Seconds From Polygondwanaland That Go On Forever. These will be made one at a time out of 100 different samples from the LP. Each locked groove will be one of a kind and unpredictable. Each disc will be totally singular and unlike the rest. Only 100 copies are being made. They come in a heavy duty Picture disc sleeve with transparency insert and should ship in a week or so! Totally different and PIAPTK always has nice quality. Gruesome Twosome & The Same Ghost Collective (250 Copies: Jacket printed on reverse board – ultra matte; Clear vinyl with pink blob, and orange/black splatter; hand-numbered; sticker and other goods).